In Finland, most trains allow transportation of bicycles, but the fastest “Pendolino” trains do not. Recently I traveled with my MTB, and Pendolino was the only feasible option (it was the first morning train, the next one arrived already too late). 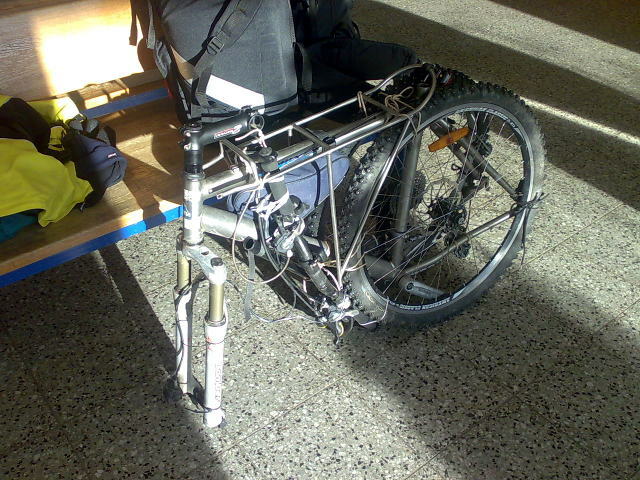 The only way was to partially disassemble and pack the bike so that it becomes normal luggage. Resulting package could stand firmly on the fork blades and the wheels on the rear. It was also easy to carry it holding by the frame. 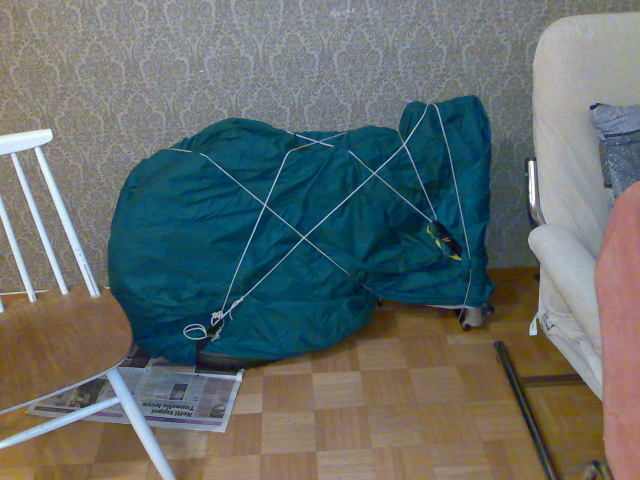 The final wrapping was done with the tent, as I did not want to carry anything extra. 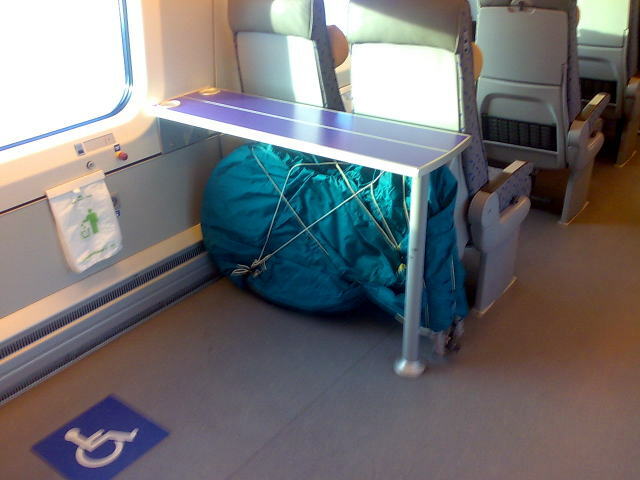 The train was pretty full, but fortunately there was free space at the place for wheelchairs. I’m not sure whether my package would have fit to the top rack shelf. Assembly took about half an hour. I forgot to calculate how much did I spend for the disassembly. Fortunately I did not need to do it on the way back, there was a regular InterCity train.